Vectorworks 2019 has just been updated with the release of SP3. As well as some exciting new features which include Cloud presentations and MVR workflows, there are also a number of fixes including some for customers using OS X Mojave. To install, select “Check for Updates” from the Vectorworks menu (Mac) or Help menu (Windows). With SP3, the Cloud presentation feature allows designers with an active Vectorworks Service Select membership to use Vectorworks Cloud Services to generate presentations of designs with an intuitive drag-and-drop interface. 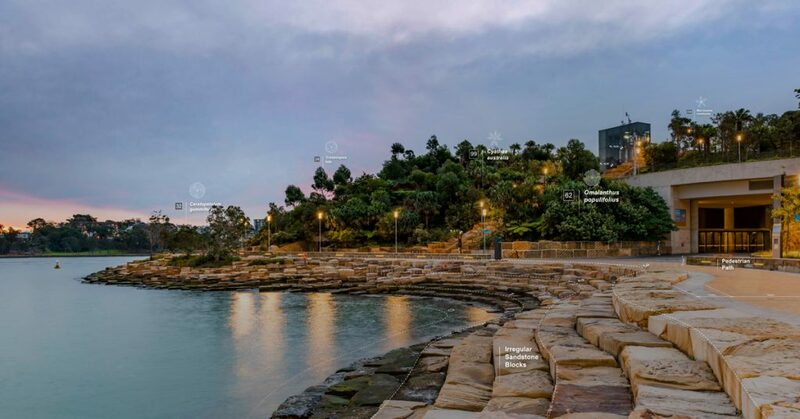 Presentations include interactive 360 rendered panoramas that can be linked together to create a holistic, immersive experience. 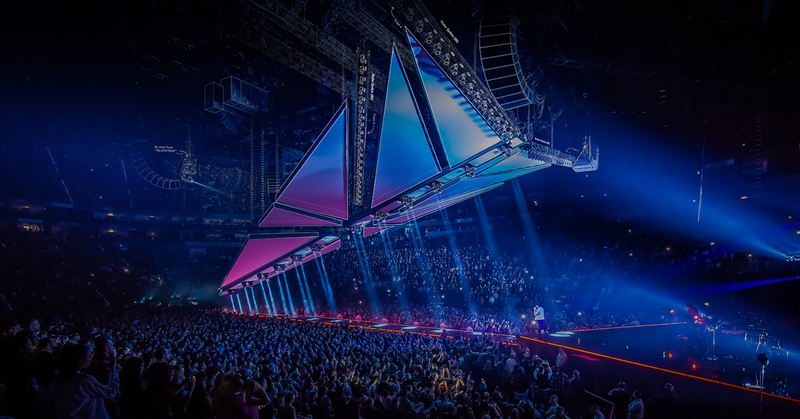 With the support of the General Device Type Format (GDTF) co-founders, MA Lighting and Robe lighting, Vectorworks have created a file format called My Virtual Rig (MVR). The MVR file format creates a two-way connection between planning, previz, and console systems that implement the support needed for a seamless workflow. With SP3, Vectorworks have implemented import and export of MVR in Vectorworks Spotlight 2019 and import of MVR into Vision 2019. Now, entertainment designers can create a more efficient and connected workflow between design planning and previz, merging the iterative changes of the model between Spotlight and Vision without re-importing and redefining the performance cues each time. 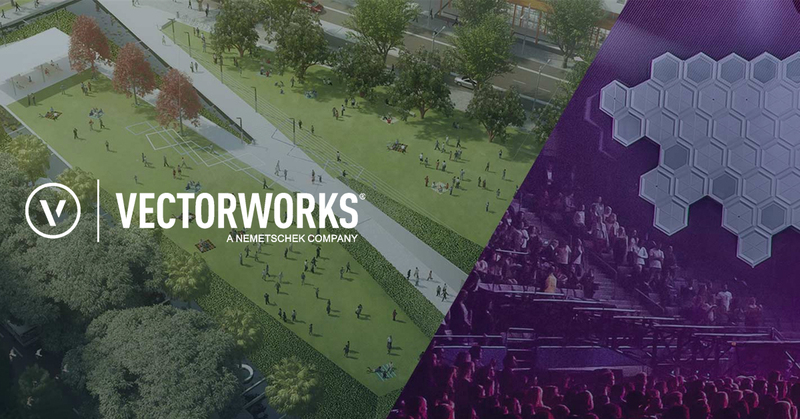 Designers will enjoy a new live-sync rendering connection that allows them to perform real-time rendering while making design changes within Vectorworks. 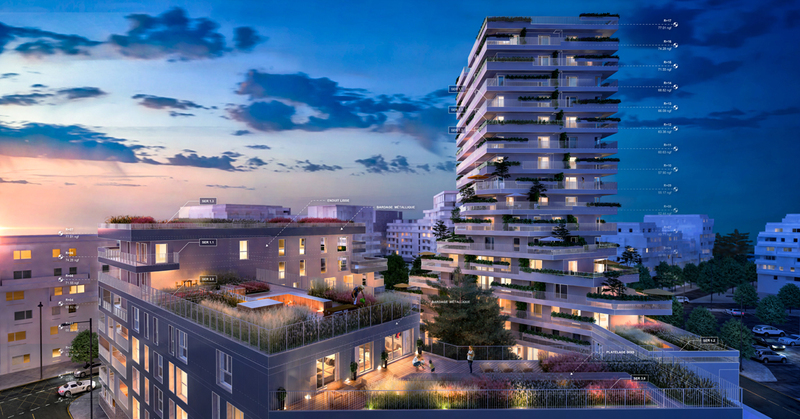 The LiveSync plug-in is developed by Lumion and is the first partner plug-in to use a new Vectorworks Graphics Sync (VGS) API. Lumion and the LiveSync plug-in are available on the PC, and the plug-in is available immediately for English language users on the Lumion website. Additional language options will be offered soon. SP3 also contains performance improvements, including several fixes to compatibility with macOS Mojave and significant redraw speed enhancements with Space Objects. 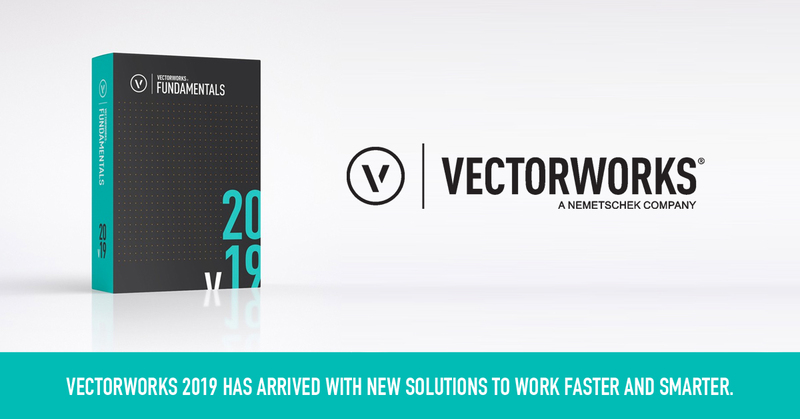 This Service Pack is available as a downloadable updater for all English-based versions of Vectorworks 2019. To install, select “Check for Updates” from the Vectorworks menu (Mac) or Help menu (Windows). Everything starts with an idea. Faced with some of the biggest design challenges of our time, students are boldly imagining a brighter world and using design tools to share these visions with others. The Vectorworks Design Scholarship seeks to promote excellence in design and observe how the next generation will transform the world. Students are encouraged to submit their design in PDF, .mov, or .mp4 file format not larger than 100 MB. A few short answers explaining your proposal are also required along with the entrants’ personal information, including name, school, address, and email. No hard copies will be accepted. Exclusive to UK architecture students and has a prize of £2000 for tuition, fees, housing, textbooks, study abroad, conference registration, and other educational purposes. Free Vectorworks design software for your school’s lab. Free virtual or in-person training for faculty and students. The international competition with a prize of $7000 USD for tuition, fees, housing, textbooks, study abroad, conference registration, and other educational purposes. Exposure in industry publications and press, as well as through the Vectorworks media and distributor network. Benefits for you and your school such as Vectorworks lab licences and training provided by a Vectorworks expert, and more! The competition is open to submissions until the 29th August 2019, and winners will be announced on the 16th October 2019! Click here to view the full judging rubric. Forget workarounds and complicated design processes that limit your creativity. If your design software isn’t doing exactly what you need it to, it’s time to move to one that does. Now’s the time to make the move. If you’re a new Vectorworks user purchasing a new Vectorworks license, you get a 25% discount PLUS a whole year of VSS absolutely free! This is your last chance to take advantage of this offer which ends Friday, November 16th. 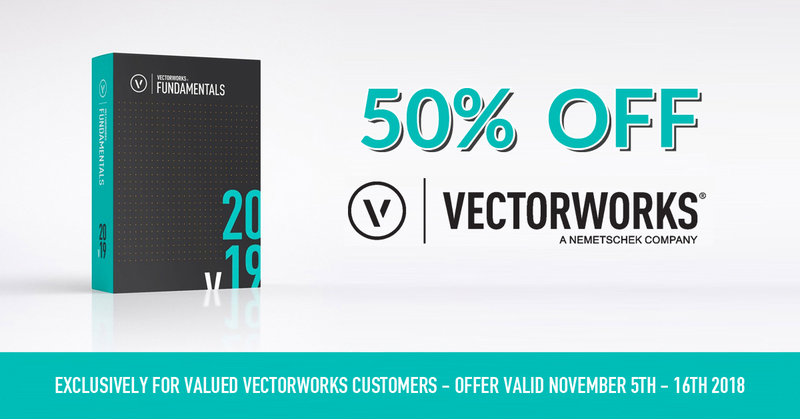 Save 50% on Vectorworks 2019 when you purchase a one-year Vectorworks Service Select (VSS) membership. If you aren’t already on VSS, you should know that it gives you upgrades to the latest version at no additional cost, as well as a whole host of features including priority technical support and unlimited access to the on-demand training portal. VSS is the most cost effective way to keep Vectorworks up to date with the latest features. Find out more about Vectorworks Fundamentals, Vectorworks Architect and more at CAD Software Direct. Some greet annual updates with scepticism, some with genuine excitement. Vectorworks provide annual major updates (with free service pack releases throughout the year) and this year sees some significant changes and added features. There are significant improvements in sections and cut-throughs, Fundamentals loses its access to window and door tools, and there are a range of more minor new features that improve general usability or address gripes. Fundamentals users on VSS when 2019 is released will be entitled to a free upgrade to a design series product (Architect, Landmark or Spotlight) and their VSS will increase slightly upon renewal to reflect the upgrade. Fundamentals users without VSS but wishing to move to 2019 will need to upgrade to Vectorworks Architect to have access once again to those tools. The price of Vectorworks Fundamentals 2019 has been frozen and it’s anticipated that going forward it will continue to fill a role as a good 2D & 3D application, provide a cost effective alternative to AutoCAD but architects and interior designers will find the design series products more useful. Likewise, anyone looking for a BIM platform will need to be working in a design series product. PLASA Show is the flagship international event for the entertainment technology industry which welcomes hundreds of exhibitors and thousands of visitors each year. Europe’s leading interior design event, offering the finest furniture, lighting, textiles, craft and accessories from emerging and established names alike. Established as the essential trade event, LANDSCAPE attracts garden designers, landscape architects, landscape contractors, local authority landscaping professionals, architects, facilities managers and interior designers from all over the UK and beyond. The day itself is designed to showcase the capabilities that Vectorworks software brings to help streamline your workflow. Whether you are a current user or wanting to discover how Vectorworks can offer your practice a real alternative for 2D/3D/BIM workflows, there will be lots to hear and see. Over a hundred delegates and speakers attend a minimum of four seminars on diverse topics in a single day, with plenty of opportunities to network. 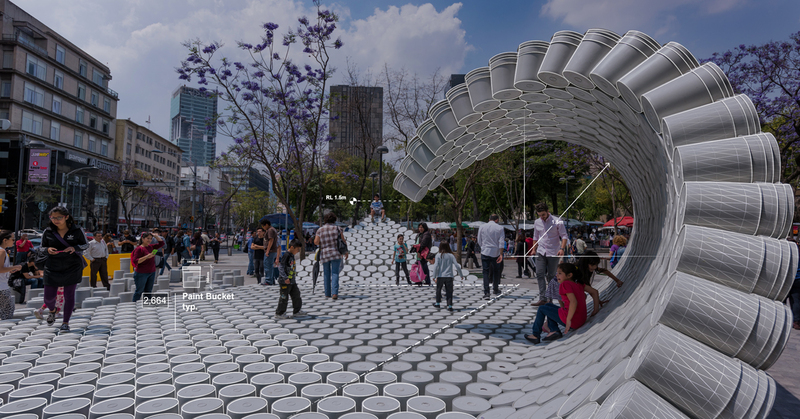 Innovation and Technology in the Built Environment. The Exhibition features over 90 hours of free to attend seminars focused on innovation and technology in the built environment. Plus more than 120 of the most exciting new and innovative companies exhibiting with us. The SBID 20:20 is a one day annual networking event that brings together the most important designers, architects and specifiers of the international design industry, to meet face to face with the best manufacturers and suppliers of solutions. The event provides a dynamic and lucrative business environment carefully tailored to create, encourage and facilitate synergies that build key relationships. The Construction Computing awards or “The Hammers” as they are affectionately known are back for 2018 in what will be the thirteenth running of this annual event. Once again we are looking to showcase and reward the technology, tools and solutions for the effective design, construction, maintenance and modification of commercial buildings, residential and social housing and civil engineering projects of all sizes. CitA Tech Live, organised by Construction IT Alliance (CitA), is a 2-day event with 50 exhibitors showcasing the latest technologies in construction. Along with 8 keynote speakers, the event will have 4 live stages where attendees will be able to see the technology in action! The UK’s number 1 landscaping trade event. The one-day FutureScape event is packed full of networking opportunities, seminars to expand your technical knowledge, and demonstrations of brand new technologies and products. SBID Breakfast Meetings to be planned, as well as a Vectorworks event for January/February 2019.